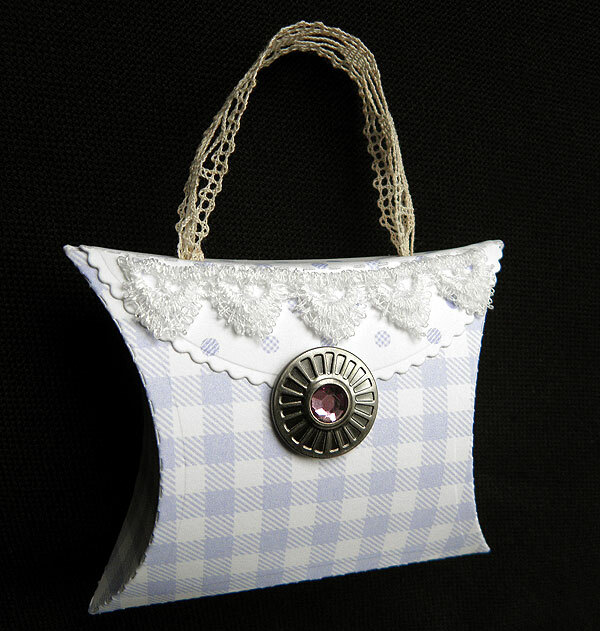 This is another variation of the little pillow box handbag. You can make them as pretty, or glam as you like. The die will cut through your card with no problems and you'll be delighted at how easy these are to make. And to get you started there is that beautiful card pack that comes with the die - you'll always have a little gift box ready for that unexpected occasion. 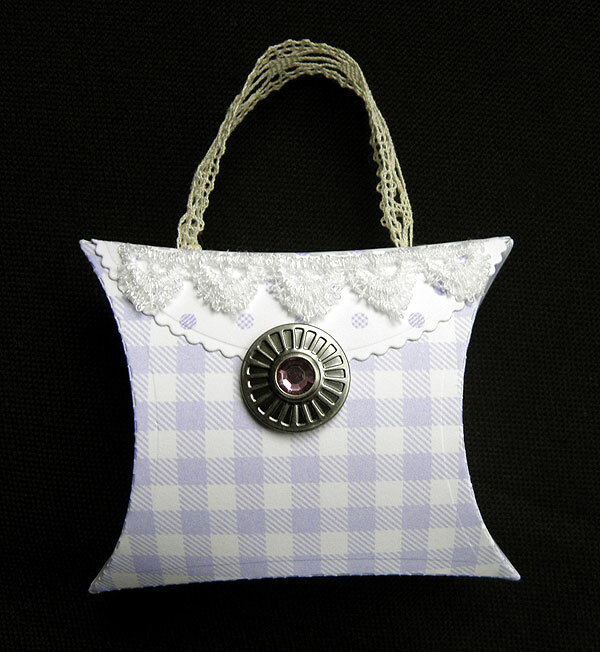 These little gift handbags would make perfect bridal shower favours, tea party favours, or little girly gifts - so many occasions you could use these for. Pop in a few yummy chocs, or a pair of earrings. Perfect!